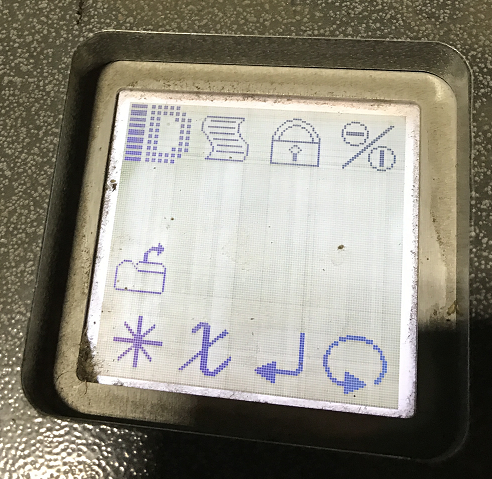 This article explains the problem of missing icons from the LCD screen of the IDT 250 Print Applicator and what to do about it. It also has the IDT 250 manual attached. The LCD screen mounted in the applicator has limited icons and prompts the user for a password. Enabling security on the IDT 250 applicator allows the ability to control and limit access to applicator settings. Once configured, a four digit PIN will need to be entered to access or change the settings. More information about the security feature can be found in the attached manual on page 92 section 5 page 17 of 18. Enter the four digit PIN (using up and down keys to change values and return key enter the value) or request a technician to put back to factory defaults. Attached please find the IDT Model 250 Print Applicator Operator / Technical Manual.